First of all, let me be clear that we were very satisfied with the Tour. All in all, we would rate it a 9 out of 10. These are the reasons we couldn’t give it a perfect 10. 1. Here is the quote from the tour operator after we asked for the directions in advance: “Tell to clients that they don’t worry, the welcome meeting will be on Saturday p.m. and they will have all the time to study the route before they leave, the day after in the morning.” We did have the welcome meeting but it was a bit rushed and we really didn’t have time to ask questions. We were warned not to be late and arrived on time. They indicated that there was not enough time that evening. 2. We did not get our bikes at the welcome meeting. One Ebike had not yet returned on Saturday afternoon. We were told to return in the morning but not before 9:30 AM. When we arrived, we felt rushed and really didn’t have time to test the bikes. Mine (Ed) was a bit wobbly but I was told that there was nothing wrong. I did get used to it as we went along but my complaint was valid, further verified when I returned home to my own steady bike. 3. All of the bikes had problems with how they shifted and how they meshed with the electric function. Maybe it was our lack of familiarity with the Ebike but we really didn’t have time Sunday morning to ask questions. 4. We never got an explanation on how to engage all of the 27 gears, only could use nine. We were told that they shifted automatically and “don’t worry about it”. The automatic shift stopped working on two bikes after the second day. 5. The directions were very confusing and hard to follow. Last year we had the “E’s” to follow but this year nothing but the somewhat confusing directions. This Paris Tour exceeded our high expectations. Highlights included a madcap ride through Paris stopping at Notre Dame and the Eiffel tower and visiting Auvers with the Van Gogh sights. Professional multilingual staff, experienced tour guide and wonderful accommodating cook made us welcome. We quickly became friends with the other 14 riders who were all fun adventurous travelers. The bikes were sturdy and well designed for the changing terrain of cobblestones, gravel. dirt pack through forests, city streets and local roads. Bring layers of lightweight clothes for changing weather and bike shorts or liners for riding comfort. The ride could be challenging for inexperienced riders so it is helpful to do training of rides to 15-20 miles in preparation.Cabins are small in this canal boat but adequate especially at this price point. We loved it and look forward to our next bike barge tour. I give this tour the highest possible recommendation! I have never been to Europe, and this was the best way to get introduced. Of course, Paris was fabulous! I enjoyed even more the time cycling in the countryside along the rivers and through the small towns. The crew on the boat was outstanding, professionally competent in their duties as well as friendly and intent on taking care of our every need. The cycling was relatively easy for the people who cycle regularly, but not too hard for novices. We rode on a wide variety of surfaces from pavement to gravel to dirt. The terrain was mostly flat. The bikes we rode were sturdy Dutch hybrids which were perfect for the task. Beautiful scenery, exercise, great food, many new friends! All this for a very low cost. Don't miss this tour! Ok, you've convinced me to add this trip to my wish list! Great article, Kevin. I can't figure out which would draw me there more: the scenery or the food. Okay, I admit, it's actually the bier. Food was substandard...cabins stink and are excessively damp and basically the trip plan was an underwhelming experience. WE stayed on the boat for the first night and then as I recall stayed again the second night. We could have stayed at 5 star hotel in town and enjoyed a great meal instead of a barge in need of many repairs. I just got back from one of the best vacations I have ever had....I biked and sailed the islands of Croatia on board the Odesij. Simply great. We biked about 200 miles over six days...and sailed from island to island. Our host Bernard was great and the other guests on board made the trip fantastic!! WONDERFUL!!! We did this trip in Sept. 2014. Great biking, but barge has seen better days. We have just returned from this bike and barge, our 2nd trip arranged by Tripsite. We were on the E'Stello (sister ship of the Soleo), and went from Aigue Mort to Avignon. We had a wonderful time! The trip was as described in terms of mileage, terrain, and sights along the way. The barge crew were all excellent, as was our guide. We were a group of 20, including Americans, Canadians, and Brits. 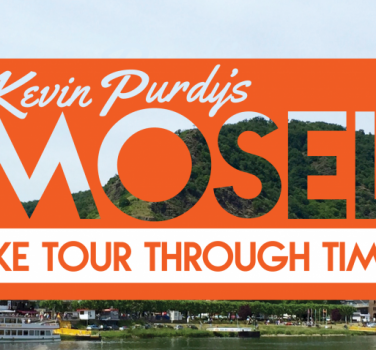 I highly recommend this tour. This was our first biking trip so I can't make comprisons. All I can say is "absolutely fantastic". The detail and accuracy of the maps and directions is impressive. The scenery magnificent. The hotels and restaurants well chosen. There were a few hills on the way but the itinerary allows plenty of time to get from place to place. Having a couple of nights in each hotel is a benifit. Definitely recommended. Chateau and countryside were beautiful. All accommodation and meals were very nice. We loved the Bergerac wines and came to like the regional specialty of goose foie gras. This is a beautiful part of the world to see, and doing it via bike is excellent. We wanted to do it on a tandem, which the tour operator did not offer, so we rented one from a bike shop in Freiburg, and that worked out fine. The hotels were good, and so were the breakfast buffets that they offered. The distances cycled each day were good, which is to say short enough to allow stopping along the way as suited us, and arriving at the hotel in the evening with some time left to look around. We found part of our prescribed route to be flooded by the Rhine, so we had to divert to the roads through nearby German villages. This turned out to be fine, as a few miles on the Rhine levee is enough--after that, it gets a bit monotonous. The flower bedecked villages of Alsace are sensational. We ate wonderful French cuisine, and came home with a trove of beautiful pictures from this trip! On the negative side, the tour maps need to be improved. They are not detailed enough, far too often making it hard to know where the turn points of the route are. North is not always at the top on the maps, and there are no markings to indicate where north lies. The print is miniscule, so street names are almost impossible to read. The written directions accompanying the maps need improvement, too, due to occasional lapses of detail. The tour operator could solve these problems by offering handlebar mounted moving-map GPS rental. I believe people would be willing to pay for this additional aid. Overall, we are satisfied with this tour, and hope Pack and Pedal/Tripsite will work at refining their guidance to make it even better for those who take it later. At first we were hesitant to book another bike and barge trip-- how could it ever compare with the 2012 tour on the Ave Maria, with Hein as guide, which set the bar so high? The Provence trip did look very interesting and, after fretting about the significant uphills, we did go ahead and book, adding the ebike option. We were able to board the Soleo as, apparently there was a cancellation. We had asked you to request a transfer from the other boat-- thanks. The trip was excellent! The crew was very capable and accommodating. Our guide, Martina, especially helped make the trip memorable. She maintained her sense of humor throughout. Any setbacks were met only with a "mama mia" and difficulties, either overcome or anticipated, were "a piece of cake". The cycling was, as compared to the Venice trip, both more challenging and more interesting. The weather did not always cooperate but there was no complaining . We think we have come to realize that those who book into this type of travel are a little more adventurous and require less pampering than the typical big boat cruise passengers. We are in our 70's and were probably the oldest couple on the barge but we had no more difficulties than anyone else. Our Tripsite shirts made us look to be very veteran riders. Everything, in the final analysis, was "a piece of cake". Suggestions: The museum at Pont du Gard is very worthwhile. Giro Libero should consider making a little more time available for this and to stress its value. Likewise, we enjoyed the Lumieres at Les Baux. Many in the group did not have much awareness of this very interesting and innovative show. It would be helpful to promote this attraction. We had a wonderful time on the Lorraine tour last year starting from Toul. One of the fellow passengers arrived late and in a state because she had difficulty finding the barge -- taxis and the police did not know where to direct her. A great landmark to cite is the Grands Moulins Aubry. It is a prominent building readily seen from the highway, and the barge moors in the canal just adjacent to the one by the moulin. We ourselves walked around for a day before finding the spot. Your Google map is spot on -- we found it right away after consulting it -- but internet access was not readily available. All of this to say: Your clients would find the spot without difficulty if you were to direct them to "the canal right beside the one at Grands Moulins Aubry" in your travel instructions. I hope you find this note helpful. Looking forward to our next trip with you. We had an absolutely fabulous time in September this year on this trip. Cycling was fantastic-Francien an excellent guide, Inma a wonderful gourmet cook. The crew was always helpful and cheerful. The group of fellow cyclists were great fun - lots of laughs. Thank you, we will be back!! This was my third bike/barge trip and the best yet. I loved being on the Feniks. It's a very comfortable barge. The captain was very attentive to all our needs and I appreciated his ability to work around some of the problems re two of the canal locks being shut down for repairs. The guide was good also and made sure some of us slower people were not left behind. It was a great group of people and I thoroughly enjoyed the biking and the wonderful French countryside. The routes and towns for this trip were perfectly selected. The hotels were charming and the staff was friendly and accommodating. The bikes were high quality and in nearly new condition. We found the written route instructions, written in English, were very thorough and detailed for each day of riding.. Yes, we did manage to get ourselves a little lost on a few occasions but in retrospect the fault was always ours for not following the instructions carefully. Because of the detailed road maps included it was always easy to get ourselves back on track. The suitcase transfer was flawless- we never felt rushed to get our bags ready in the morning and they were always waiting for us at our next hotel. Our group ranged from mid 50's to mid teens and all of us were equally captivated by the scenery and region's history. This was a great trip and we look forward to taking another vacation with Tripsite. Just back from a wonderful bike and boat trip through the Provence. We, along with 18 of our friends from B.C., Canada, had booked the boat for ourselves and we can't say enough good things about the time and adventure we had. The staff - Lizzie, Amin(?) and Rose were perfect hosts, captain and chef. Our meals were wonderful and our guidance from Lizzie supreme. Thank you for giving us a trip to remember. For the most part we really enjoyed the trip! We felt the boat staff (Lizzie, Rose and Amine) worked very hard in sometimes difficult circumstances to provide us with a great experience. Lizzie in particular was super-friendly and attentive to our needs. Please feel free to call me 604-340-2580 to discuss the parts of tour that could be improved upon (boat mechanical condition with ongoing power failures; sub-standard bikes; quality and variation of the menu and food overall; and tour expertise. Our Kansas City biking group just got back from our annual European bike ride..This year it was a Bike and Barge trip: Paris to Bruges..It was a great trip..The Elodie was as pleasant as advertised, the food, prepared by Chef Sander, was excellent..Our guide, Ono was very good and patient with us..Michael, our Captain, couldn't have been better.. The countryside was beautiful..It was a memorable trip and we'll see you again next year..
Great trip. We loved the country-side, the villages, the vineyards, small country roads with no cars, easy to read maps, the wonderful restaurants and chateau. We had no problem without having a guide and the people in the towns and staff at the hotels were very friendly and always willing to help. This was our second Trip-Site bike trip and it was great. Thanks. We would rank our bicycle trip to Alsace/Lorraine based at the Hotel a la Ferme in Osthouse, France with 4 stars out of 5 stars. The accommodations and staff rate a 5 star ranking. The rooms were immaculate, spacious, and well-appointed with every modern convenience. Meals are elegantly prepared, rich with sauces, and skillfully served. Dinners were wonderful but one choice, whatever was being served that night. No low calorie alternatives were offered. Osthouse is a delightful beautifully restored rustic village, complete with working farms, an ancient chateau, and a beautiful 16th century church with a bell tower. The villagers were friendly. There were no stores or other restaurants in the village. We felt safe waking the streets at any hour. Only local French language TV, sporadic Internet and cell phone connections, no local entertainment. The only place to go in town are the hotel and their very elegant/fine restaurant 2 blocks away. If you are looking for a place to relax, get away from it all, and disconnect, this is the place. You will do it in style. You will need to bring your own metric bicycle tools, and a slim-valve (Presta) hand tire pump. There were eight 10-speed bicycles available to choose from. Ample saddle bags and adequate lunches were provided. Be patient with the English translation Route Instructions as they can be confusing at times. The actual bicycle routes had us sharing roads with cars as well as beautiful bicycle paths along many of the rivers and canals. For your own peace of mind, if you are relying on the hotel transportation back to the train station in Erstein, be sure to allow at least 20 minutes beyond the agreed upon pick-up time. Hennie recommeded this Tour to us in 2011 and we have gone in both 2011 & 2012. Unfortunately, we are unable to go in 2013. We went back the 2nd year because of the Hotel. The Family that owns and runs the Hotel is excellent and the service and dining is outstanding. We will definitely go back. We absolutely loved Alsace, Osthouse, Hotel la Ferme and the bike rides. The villages, canals, tree-lined tow paths and the people..plus the wonderful stay at Hotel la Ferme. We did not want it to end. Absolutely loved the trip on board the Merlijn. Wonderful staff and amenities on board, met a great like minded group of travelling companions. As a coeliac, the crew were very attentive and ensured all my dietary needs were met. Nothing was too much trouble. As for the cycling and the scenery....what can I say? It was magic cycling along quiet bikeways through the vineyards and small villages, at all times in sight of the wonderful Moselle River. Last but not least...the wine selection and quality on board the Merlijn was the best (and very well priced). Already thinking about our next bike and barge tour...with the great help from Tripsite (of course). We took this tour in October, 2012. It was fantastic. The history, the scenery, the chateaus of the Loire Valley are truly amazing. The little country inn was delightful, with steaming pots of hot chocolate with breakfast and elegant, world- class, dinners. The provided route maps were a challenge to follow, taking us deep into forests, etc. that were great to experience. But on Day 3, we switched to the official French bike route maps because they were so easy to use. I finally got to study the scenery as we pedaled along! Thanks, Pack and Pedal, for a perfect vacation. We'll be back! Did Castle of the Loire 3rd week of sept 2012. The weather was nice though we did get rain on our first afternoon. No complaints at all. We picked the 2 star option and were more than happy. All hotels clean and comfortable and the staff helpful and friendly. Food was fantastic. Bikes were also fabulous and the intinery/directions easy to follow (even when we got ourselves a little lost, easy to get back on track). We are 50 and of average fitness, the bike riding was not too hard. We will definately look at another tour soon. Thanks for the memories! We loved the trip. The food was better than advertised, and the barge was more comfortable than expected. Our suggestion for improvement would be a second guide OR better overall maps for a breakaway group.